Featuring earth-toned panels and playful shapes, the see and store furniture collection is ideal for any playroom, bedroom, or classroom. 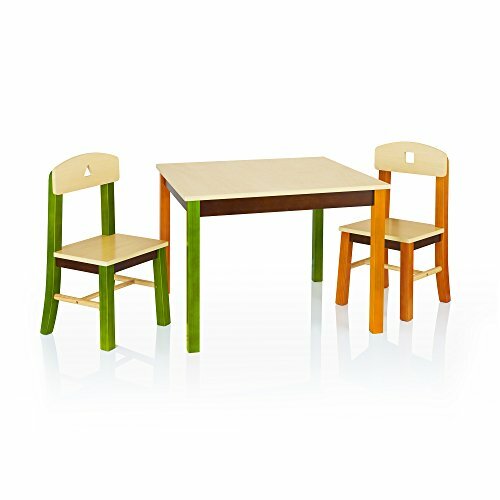 This three piece table and chair set offers two chairs with wood veneer seats and backs. 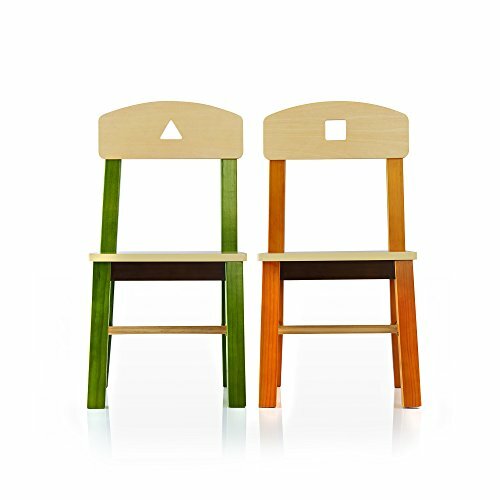 One chair features green and Espresso posts and legs, and a triangle cutout in the seat back; the other presents orange and Espresso legs and posts, plus a circle seat-back cutout. 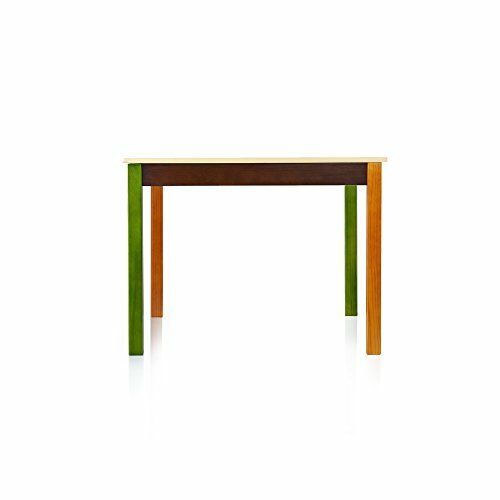 Coordinating table has wood veneer surface and combines green, orange, and Espresso legs and trim. Solid birch plywood construction with durable UV polyurethane finish. Adult assembly required. Table: 28"w x 28"d x 21"H chairs: 12.5"W x 12.5"D x 25"H.